An arrest on criminal charges can be one of the most frightening and frustrating experiences in a person’s life. The police and the prosecution have been trained to work together to pursue suspects through the criminal justice system. You need someone who will protect your rights. To defend yourself against criminal charges in Oklahoma City, you need an Oklahoma City criminal defense lawyer who understands the justice system and is willing to stand up for you. 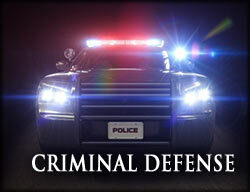 When you have been arrested or charged with a crime you need someone to help build your defense from the beginning. Facing questions from the police by yourself can be intimidating but answering their questions can sometimes be dangerous to your case. The Oklahoma City criminal lawyers at Wirth Law Office are ready to aggressively defend your legal rights and help you navigate the complicated criminal justice system. Don’t wait until it is too late. Contact an Oklahoma City defense attorney today to ensure your rights are protected and your best defenses are preserved. When you have been arrested for DUI or DWI, domestic violence, drug charges or any other felony or misdemeanor, you need a criminal defense attorney to stand by your side. The district attorney will have a team of investigators and police officers working for them, who do you have working for you? The consequences of criminal charges are too severe to wait even one day before getting your defense prepared. The Oklahoma City criminal defense team is ready to stand with you as you appear before judges and make critical decisions that will ultimately impact your freedom. Your case is unique. You need a criminal defense attorney ready to hit the ground running and who will stand by your side for as long as it takes to get the best outcome the facts of your case allows. A person charged with a crime may be facing significant jail or prison time. There may be other sanctions or punishments attached to the charges. When you are charged with a crime, choose a lawyer who will work for your best interests. You need a criminal defense lawyer ready to investigate the facts and challenge the evidence. Find an Oklahoma criminal defense lawyer who will explain your options and only recommend actions that are in your best interest. Call (405) 888-5400 today to find someone ready to build your defense from the first day. We represent criminal defendants in both misdemeanor and felony cases. For a free consultation with an Oklahoma criminal defense attorney call the Wirth Law Office – Oklahoma City attorney at (405) 888-5400. You can also submit an email question from the top right corner of this page. We will respond as quickly as possible to all questions.